1. Who is the Advertiser? An advertiser is one who owns the brand, who owns the products, who offers money in return for his sales i.e. the content provider and the offer owner. 2. How does becoming an advertiser help? We are another channel for you to promote your existing campaigns on a Cost Per Action(CPA) and Cost Per Sale (CPS) model through our database of affiliates. 3. How can I sign up as an Advertiser? 1.How do I decide what commission I should offer on my affiliate program? The commission structure depends from business to business. You can suggest something that works for you. You can set a different commission per category or a flat commission per sale. 2.How often do advertiser needs to pay? Advertiser cycle is generally 30 days. 3.Can the commission be changed on a running campaign? We will share tracking details so that your developers can implement the tracking pixel on brand's thank you page. Only conversions coming through DCMNetwork will be recorded. DCMnetwork has a very sophisticated dashboard which will allow real time tracking for you and the publisher to monitor all clicks & conversations. 2.How will I know what conversions are being done through DCMNetwork? DCMNetwork has a very sophisticated dashboard which will allow real time tracking for you and the publisher to monitor all clicks & conversions. 3.What is this tracking code that I have to place on my website? In order for DCMnetwork to be able to track all sales we bring to you, you have to place a tracking script we provide on the checkout “thank you page” of your website. Its placement is simple since the only parameters you will have to pass are the order ID and amount for each sale. 4. How will you track conversions. Can I give you a gift voucher which customers can buy on your site and use on our site? 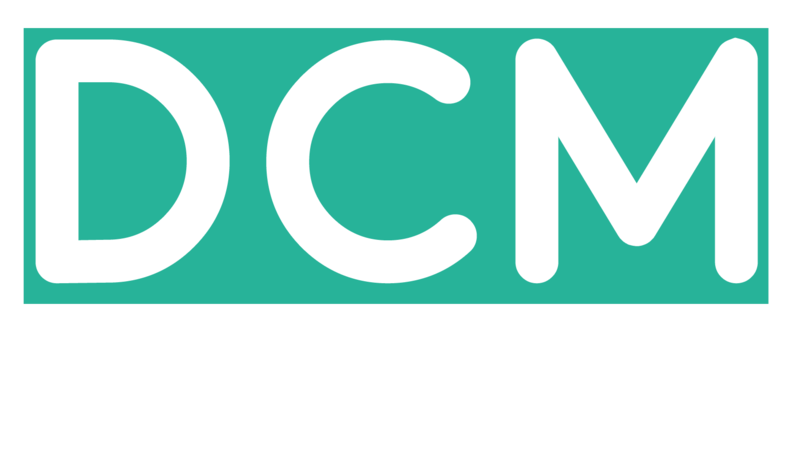 We will set you up on DCMnetwork, where real-time tracking takes place, and helps us optimize campaigns as well. You can feature any existing or new campaigns that you want to promote on our site. You can put terms and conditions there as well to mention what the voucher is valid for. Customers can only get to know about offers from our site. Customers cannot checkout on our site, so they will purchase products on your site. 5. Do you have any ready-made plugin for WordPress websites like ours? No, we don’t have any plugins for wordpress. If you are facing an issue implementing the pixel, send us a request to call back. 6. Is this related to our website developer? Your website developer will be able to understand and implement this. In order to track our conversions, your developer will need to implement the following conversion code on your website's checkout/thank you page. 7. What traffic is tracked by your pixel/code? Only clicks or conversions coming from DCMnetwork affiliates. 8. How Does DCMnetwork pass info they need and how does the tracking technology work? At DCMN we use Hasoffers. It automatically manages user session information, a process we call session tracking. We just need to prepare advertisers to pass information to HasOffers. To do that, we generate and distribute both tracking links and conversion links. 9. What kind of reports, tracking, and dashboard will we get? 10. Will you be able to geo-target? We are a hyperlocal business and to maximize efficiency and success it has to be a) mobile only to drive installs/remarketing/orders and b) radius targeting delivery zones of partner stores? You can geo-target by country, but not the exact location of zones of partner stores. 11. Will you be able to target specific language (English/Arabic) and devices (iOS/Android)? You can also target by language. You can create "Platform-Optimized Measurement URLs" to point the user to the correct app store based on the OS of the device, i.e. iOS/Android. 12. Will this include programmatic marketing? Yes, we will be starting programmatic marketing soon through our affiliate partners. 13. Can you please explain the campaign launching process? Once testing team confirms that the conversion was recorded correctly. We launch offer and make it live. We send detail emailed to advertiser before we make offer live. 1. When is new offer created? New offers can be created for new websites, or if there are changes in the existing structure of the offer. Every new offer generates a tracking pixel that will need to be placed on the website. Advertiser can add offers but with the new offer a new pixel will need to be implemented on the advertiser's website. If you have latest campaigns/creatives/landing pages, feel free to share them with us and we will upload them on DCMnetwork and also inform affiliates about them. 1. Are we able to track voucher code in the advertiser dashboard of DCMnetwork? Yes, you can see the codes tracked in Advertiser Dashboard. Please choose a timeframe and use the filter SUB_ID 5, when running the report. SUB_ID 5 passes the code used by the user with each sale. This is how you can have a look at the codes used by the customers. However you will not be able to see the codes you share with us on the Dashbaord because we share them with our sub affiliates via email. We have many publishers right now and new affiliates keep joining daily. These affiliates are a mixture of content networks, bloggers, reviewers, coupon sites, social media campaigns planners etc. 2. Can we send notifications and emails to your publishers? No, you are unable to send notifications from DCMnetwork to your affiliates. We are the connectors between you and your affiliates. 3. Can you please explain the way of reaching your publishers? We reach to all publishers via Email. 4. We need to reach all affiliates and we can increase the payout for big affiliates if they did not accept revenue share? Let us send out the mail to all big affiliates after I will be able to update you about which affiliates accepted the increase in commission. 1. What are the exit terms? There are no exit terms. If you want to stop working with us any time you can give us a 30-days notice and clear any balances due.